One-hundred or more no-nonsense crosswords. No frills or fuss – just high-quality products and mixed sized puzzles. 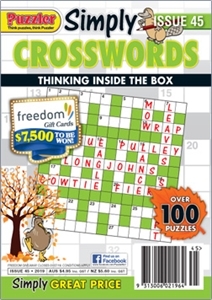 Brainbusters and regular competitions can be found in this bi-monthly title.